This is the story of Jabulani Dlamini, a community leader from Orange Farm and now learner on our Out of School Youth programme offered in Orange Farm by facilitator, Lawrence Tlhapane. Jabulani’s relationship with JA South Africa spans about 20 years. He has always been an advocate for our programmes. Back in the late 1990s, after himself attending one of our programmes, years earlier, he recommended the JA South Africa Primary School programmes to other schools in Orange Farm which resulted in us offering the JA More than Money programme to schools in Orange Farm. In 2013, Jabulani once again advocated for our programmes and assisted our facilitators to mobilise out of work, out of school youth in Orange Farm to participate in the 20-week programme. As a result, 68 learners have been exposed to our experiential entrepreneurial skills development programme (36 are attending the programme currently running in Orange Farm). 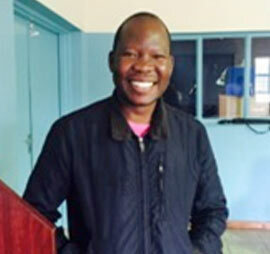 Jabulani has always been a very community-minded individual so, when he came across a group of young primary school learners being housed for an aftercare programme in an icy community center during winter, he felt it his duty to find a solution to obtaining better resources for the programme. Sidingulwazi opened its doors on spring day of 2014 – an apt day to launch a waste management business. Together with Pik It Up, the team spent a week rolling out a cleaning campaign where 120 community members were taught the value of waste by exposing them to recycling. Government’s Expanded Public Works Programme (EPWP) was also introduced to the community during this campaign. 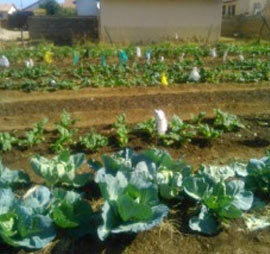 During the campaign the Co-operative made a profit of R5,000, which was invested into upgrades of the community centre ahead of the winter months. The community’s cleaning campaign resulted in four dumping sites being cleared of waste. Two community groups representing about 30 families have adopted two of the open spaces and are using it as sustenance farms where onions, tomatoes, green beans, and carrots are being farmed to feed these 30 families. The third space is being used as a children’s recreational space where, in partnership with City Parks, the installation of play equipment and maintenance is an ongoing project. 150 community members, in partnership with Pik It Up, run a food waste programme at the fourth open space. Pik It Up donated tools, protective uniforms and Occupational Health and Safety training programmes to 10 team members to ensure the success of the programme. 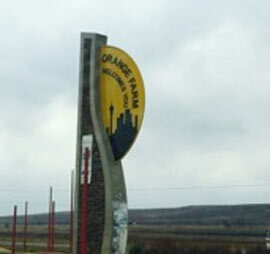 It is clear that Jabulani is a beacon of success in Orange Farm and uses his network to benefit the community as a whole. We will continue to follow Jabulani’s success and wish this exemplary entrepreneur well on his journey as an #OpportunityMaker.